In an earlier post, we went over some basics about stone sizes and how to calculate square footage. In this one, we are going to talk about some of the characteristics of natural stone tile. There is a seemingly endless variety of stone types out there and we couldn't possibly cover it all. So we are going to focus on the stone types we use and know well. The best way to approach this is to give you a little tutorial on the terms that you might hear when shopping for stone. All stone tiles start out as a gigantic blocks of stone that have been mined from a quarry. Those huge slabs have to be cut down into individual tiles. The process of cutting the tiles leaves relatively straight edges on all sides. 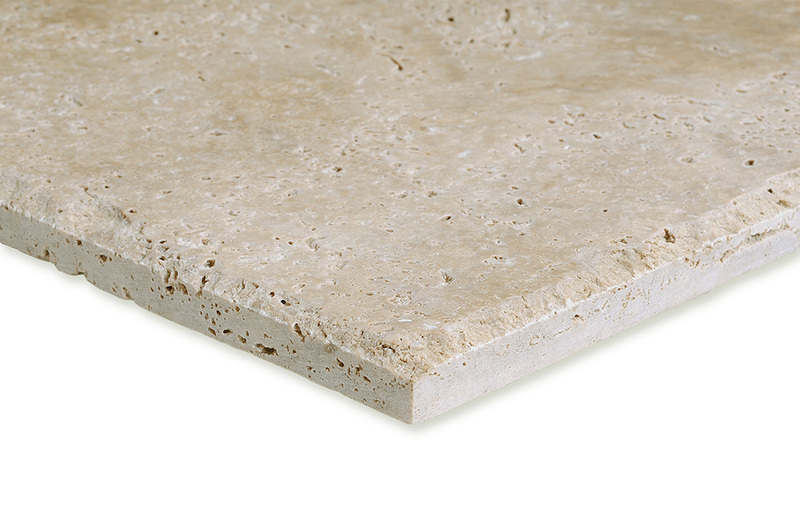 We say "relatively straight" because stone is a natural product and you have to accept some departures from perfection. More about that later. To get this kind of edge, the Straight Cut tiles are run through one more process to give the top edge of the tile a teeny-tiny little angle. This is definitely a case where a picture is worth a thousand words. The Micro-bevel edge gives the tile a very clean, contemporary look. To get the Tumbled effect, tiles with a straight edge are put into a tumbling machine. Think of it as a big shaker filled with gravel or ceramic pieces. The tumbler either vibrates or rotates and after a certain amount of time (and a number of broken tiles) the edges of the tiles are rounded out. Tumbled edges are a very common way to finish natural stone tiles. 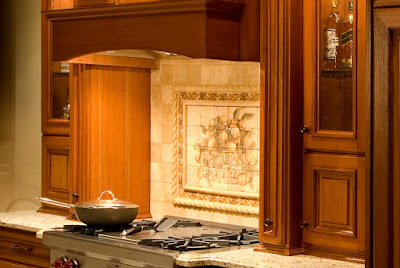 Rounded, imperfect edges are a great complement to the other natural characteristics of stone. Stone tile with a chiseled edge. Honing is a process of sanding or abrading the flat surface of the stone to smooth it. Honed tiles have a matte finish. They are smooth, but they are not highly polished or shiny. Polished stone is also sanded or abraded but it is done using smaller and smaller grit sanders until the surface of the tile is very smooth and shiny. Filling is a process to literally "fill in" all of the natural holes, pits and cracks in the natural stone tiles, which results in a smoother surface. The fill is usually a similar color to the rest of the stone, so it blends in and adds to the natural texture of the tiles. Fill is not the same as grout. Stone tile will be filled at the factory. Grout is used only during installation of tile. Grout has a sandy texture. Fill is typically a polymer or synthetic material which is a smoother substance and is very hard once it dries. Example of travertine tile honed and filled. Click on the picture for a larger view and you'll see the arrows pointing out the little spots of fill. Some of the brighter, white spots are not fill. They are naturally occurring calcification running through the stone. At the risk of stating the obvious, unfilled tile does NOT have any holes, pits or cracks filled in. It's the raw, wild, unpretentious stone - as if you just chopped a chunk off the quarry walls yourself. Unfilled tile looks the most rustic and antique. Brushed Finish = A finishing technique that requires the stone be brushed by a coarse wire brush. This replicates the appearance of natural wear over time. Oy vey. Too many to list. Fortunately, the names used to describe colors of stone are not as extensive as those used for paint colors (Fuzzy Slippers, anyone?). But what you need to know is that what one store calls Ivory, another might call Beige or Cream or Crema or Light or Classic. The words used to describe the colors of different natural stone tiles are not universal. You will find some consistency in the naming and often hear similar terms used. But you really should go into the store to look at actual samples in order to see what colors you like. Honed and Filled - it is very common to see these two put together. They both describe the surface of the tile - the holes have been filled in and then the surface was polished to a matte finish. Tumbled and Unfilled - this is also one you'll see often. The edges are tumbled and the surface is unfilled, showing the natural holes and crevices of the tile. Tell us if the tile descriptions below are correct or incorrect. In other words, does it actually make sense when you put those particular terms together? Remember that one piece of tile wold have to have all of those characteristics to be correct. And don't forget- this will go on your permanent record. A. Honed + Filled + Micro-bevel = Correct! B. Tumbled + Unfilled + Straight Cut = Incorrect! Tumbled and Straight Cut both describe the edges. You can't have edges that are both tumbled and straight cut. C. Unfilled + Brushed + Chiseled = Correct! D. Brushed + Polished + Tumbled = Incorrect! But this one was a little tricky. Brushed and Polished both describe the surface finish of the tile. Technically, you could polish the tile to make it shiny and then rub it with a wire brush to rough it up again. But that would just be silly. No point in polishing something that you plan to scratch up again. If you answered all 4 questions correctly - You are a Stone Master. You would dominate in the building materials version of Trivial Pursuit. 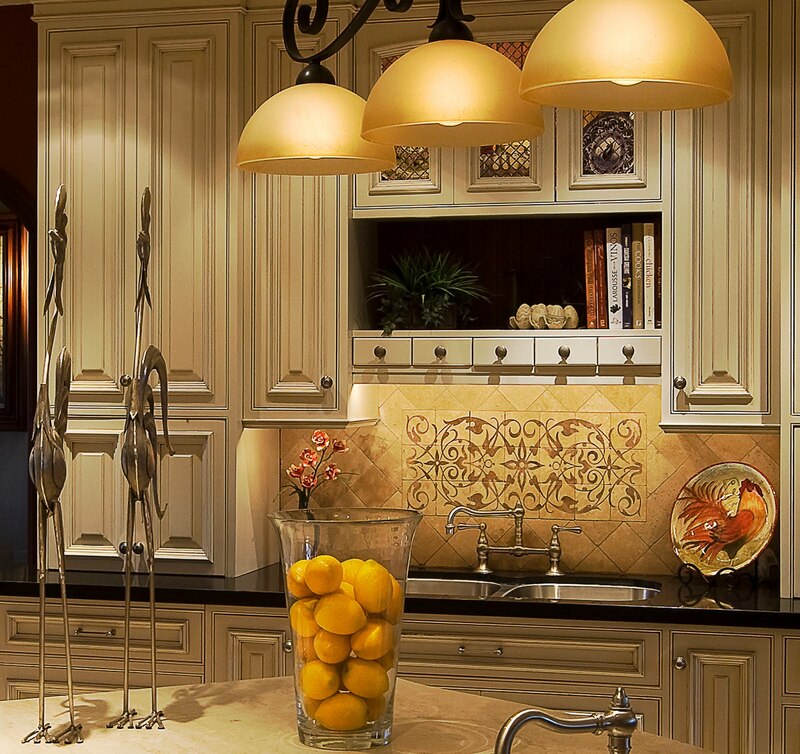 You are more than ready to go shopping for stone tile. In fact, you could probably sell natural stone tile! If you answered 2-3 questions correctly - You are a Stone Knight. The force is strong in you but there are still a few things yet to learn. You can enter the tile stores with confidence, but keep your mind open for more learning opportunities. If you answered 1 question correctly - You are a Stone Novice. You've got the enthusiasm, kid, but you need to hit the books a little harder. Start hanging around tiles stores and slab yards, and if they don't call the cops on you for loitering, you might pick up a little knowledge. If you got 0 answers right - You are Stone Vessel. A blank slate upon which much can be written. Your journey towards mastery will involve asking questions. Many questions. Find a helpful tile salesperson and let them impart their wisdom. Taking notes is encouraged. We hope that you found this tutorial to be helpful. Keep in mind that this is not an exhaustive list of all of the terms that are used when talking about natural stone. Just some of the basics that relate to the stone tiles that we personally work with most often. It's a big world of stone out there. There is always more to learn. Please let us know if you have any questions in the comments below. In the next post we'll talk about learning to love the variations in natural stone tile. Stay tuned! 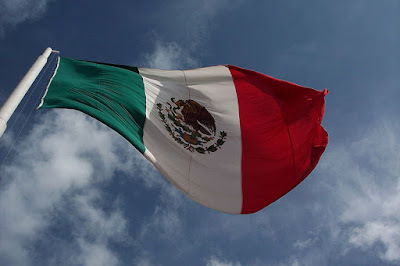 Tomorrow Mexico celebrates its Independence Day, which commemorates the start of its independence from Spanish rule. It took over ten years of battles before the official Declaration of Independence of the Mexican Empire was made, but the "Grito de Dolores" on September 16, 1810 sparked the movement towards freedom. Isn't Cinco de Mayo the big Mexican holiday? You are not alone in your confusion. Many people think Cinco de Mayo is the Mexican version of the United States Fourth of July. But May 5th is actually a celebration of the Mexican Army's victory over the French invaders in 1862, many years after they had gained their independence from Spain. Perhaps the very successful marketing efforts of the tequila and beer companies have led us astray. How could anyone resist such subtle imagery? Our distributor in Mexico recently sent us some pictures of their work. Ruiz T is located in Huatabampo, Sonora. Their city happens to be known as "Tierra de Generales" (Land of Generals) because several high ranking generals in the revolutionary war were hometown boys. I'm sure the celebrations in their neck of the woods are going to be quite festive. Ruiz T offers full service kitchen design and installation and and has been in business for over 20 years. 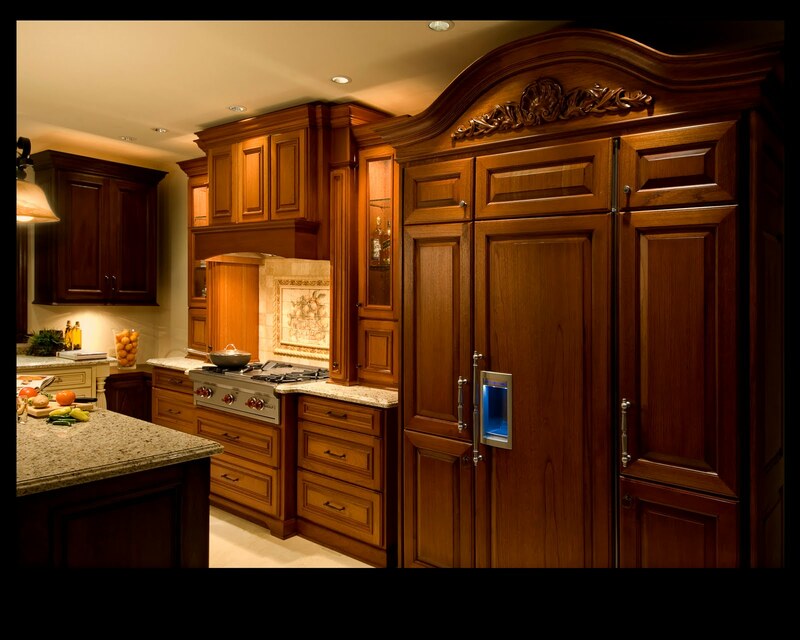 Their quality and craftsmanship are evident in their custom doors and wood furniture and shelving. 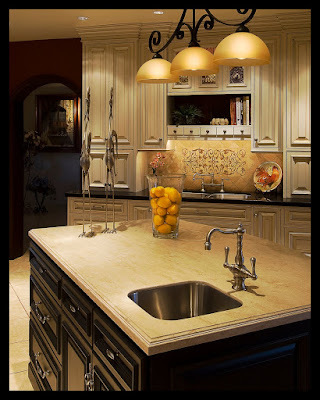 They do everything from fixtures, lighting, sinks, appliances and windows down to the last little detail like hinges, pulls for cabinets and doorknobs. Closer view of Elegante Mural. Check out those cool metal roosters. I want them. Lemons Mural framed with the Regatta Listello and Travertine Rope Liners. A closer view of the Lemons Mural. Gracias, Hector for the wonderful pictures. Your photographer does an amazing job! And Happy Independence Day to all of our Mexican friends! We work with stone all the time, so we have learned a number of things about natural stone. However, because it is something we do every day, we sometimes take for granted the knowledge we have acquired. A person who is just starting to build or renovate room, might not be as familiar with the lingo as we are. What is tumbled? What does filled mean? How do I know how much I need to order? We thought we would throw some basics at you. We will spread it out into a number of different posts to break it into manageable chunks. 12,672 / 144 = 88 square feet. If you have a space that is not a square, like the backsplash of a kitchen wall, just try to break it into square or rectangular sections. Measure each section individually and then add them all together to come up with the total square feet. 36" x 18" = 648" / 144 = 4.5 square feet. 48" x 36" = 1728" / 144 = 12 square feet. 4. Add them together and get 4.5 + 12 + 4.5 = 21 square feet. It is not a bad idea to do a quick measurement of your space when you begin to shop for tile. Even if your measurement is not exact, when you walk into a store with a ballpark estimate, it gives you a better idea of what kind of budget you should be working with. Tile going for $5 per square foot will set you back $105 (using the 21 square foot backsplash shown above.) If you are looking at tile that costs $50 per square foot, you'll be paying $1,050. Knowing how much you will need to buy will save you time by narrowing down your choices right away. How many tiles in a square foot? To all of those visual learners out there, here is what 1 square foot of tile looks like in both 6x6 and 4x4 sizes. Stay tuned for the next exciting installment, where we'll talk about the characteristics of the different types of natural stone that we carry and give you the scoop about terms like honed, tumbled and filled.